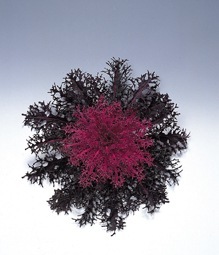 Ornamental Kale thrive in the cool temperatures of fall and winter, but they do not like the summer heat. These showy plants have exceptional cold hardiness and can survive temperatures as low as 5 degrees if acclimated gradually. That means that you can have color in your garden all winter long. 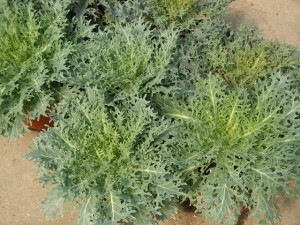 One note of identification is kale has fancier, more ruffled foliage and ornamental cabbage has rounder, more even foliage. 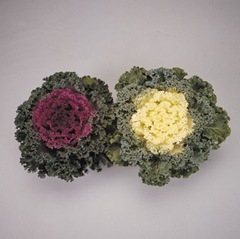 Tips: Prefer moist, well-drained soil.